Make this song your battle cry! continue reading "Our God Reigns!" With the estimated 7 billion people on the planet and the ability to be on the other side of the world in less than a day, it would be incorrect in saying there’s nothing new to discover. Sadly, many of us think just that! God’s EXPOSURE requires us to leave behind what’s comfortable to embark upon the uncertainty of the unfamiliar. As you move toward your goal, you will encounter the unknown. God uses EXPOSURE as the practice arena for the newness and uncertainty you will experience in your future. It’s best to learn the lesson of being comfortable in uncertainty now, than having to learn it later. continue reading "WTAL 52 Days of Pecking Orders ~ Day 24"
So many of us remain trapped in the shell of the familiar, never venturing out to see different locations, eat new foods or even hear music we’re not accustomed to. Then, we wonder why we never progress further in life. Do you choose to hold on to the familiarity of what you’ve always experienced, or will you take a chance on something new and vibrant? 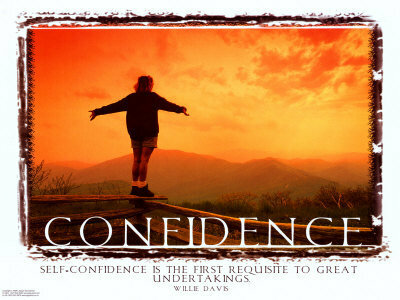 This may cause you to be nervous, but it greatly enriches your life experience. God has more for you than your current surroundings! Take COURAGE and step out on faith to see and experience more! continue reading "WTAL 52 Days of Pecking Orders ~ Day 23"
Watch iChoose2 Love My Life: Week 44 video. sharing how you're going to go green. continue reading "iChoose2 Love My Life: Week 44"
continue reading "FREE Kindle Edition ~ 'Healing for Damaged Emotions'"
The favor that God has placed on your life will cause you to be liked by people you can’t even imagine. They will be intelligent, influential and have wisdom to share with you on your journey. This requires that you EXPOSE yourself to more than just your familiar surroundings. These new “things” and new people God is sending your way may operate on a higher level than what you are accustomed to. Get comfortable trying new things and going new places. You’ll be glad you did! continue reading "WTAL 52 Days of Pecking Orders ~ Day 22"
As you continue to go forth with your Pecking Orders, I encourage you to broaden your interests, people and hobbies.... they broaden your perspective and outlook. Don’t just build spiritually, but build on the foundation of your spiritual life. It could be as simple as reading different magazines or newspapers, or going to places that are different from where you normally go. Get outside of your political belief system, gender or race. Broader views are a great repellent to ignorance. A complete world-view leads to a richer, fuller life. 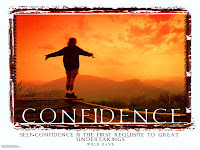 continue reading "WTAL 52 Days of Pecking Orders ~ Day 21"
the greatest confidence in sharing Christ's glory. continue reading "Greatest Conflict; Greatest Confidence"
BEFORE you can fully lead, you must withstand controversy and conflict. a. Leaders tend to be controversial. b. Leaders’ decisions create conflict. c. Leaders are persons of commitment. d. Leaders are guided by their character. Be COURAGEOUS and accept the leadership responsibility of being controversial. You are not POSITIONED to make everyone like you! That’s God’s job. It’s called FAVOR…and…It ain’t fair! continue reading "WTAL 52 Days of Pecking Orders ~ Day 20"
What do you pray when times get tough? When you're stressed or depressed, when life is overwhelming or disappointing, when you feel like giving up? It's in these challenging times you need to pray with wild hope, says Jackie M. Johnson.With encouraging stories, Scriptures, and prayers, Johnson shows women how to pray for focus, wisdom, confidence, courage, grace, strength, meaning, and much more. With her upbeat attitude and down-to-earth style, Johnson will have readers picking up Powerful Prayers for Challenging Times again and again. Conveniently structured so that readers can go directly to the chapter that addresses their particular situation, this book will be a lifeline to peace for those who need God's touch. continue reading "FREE Kindle Edition ~ 'Powerful Prayers for Challenging Times'"
Some things need to be put back where they belong. Translated: some relationships simply need to be severed! Others may require some closure for you to move on. Still, others need to be put back in their proper place. “Can two walk together, except they be agreed” (Amos 3:3)? Pray this prayer with me: Holy Spirit, please clean out my heart, make over my soul, and allow me to get rid of the accumulated things and people that diminish me as an individual, as an employee, or as a visionary. 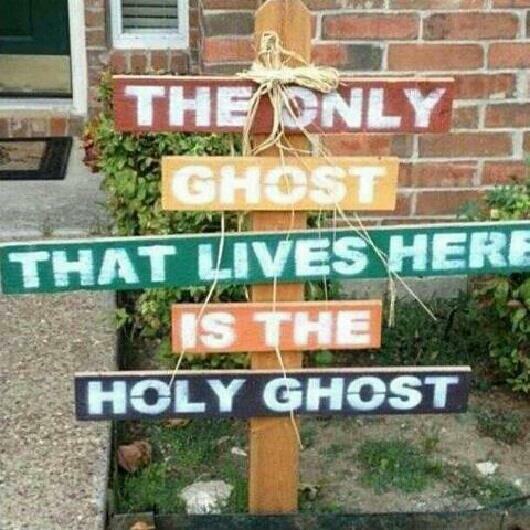 In Jesus name, Amen! continue reading "WTAL 52 Days of Pecking Orders ~ Day 19"
Imagine life with unlimited possibility, where fear, misconceptions, and insecurities don't have the power to rob us of our potential or our dreams. Many women have trouble seeing this vision because they are bound by mental ties that keep them from living free.In Set Free to Live Free, Saundra Dalton-Smith shows women how to break free from seven mental ties that hold them back, including striving for perfection, comparing themselves to others, all-or-nothing attitudes, and more. Through case studies and inspirational writing, she encourages women to embrace spontaneity, be transparent, nurture their bodies, and cultivate a balanced life. continue reading "FREE Kindle Edition ~ 'Set Free to Live Free'"
The answer is YES. 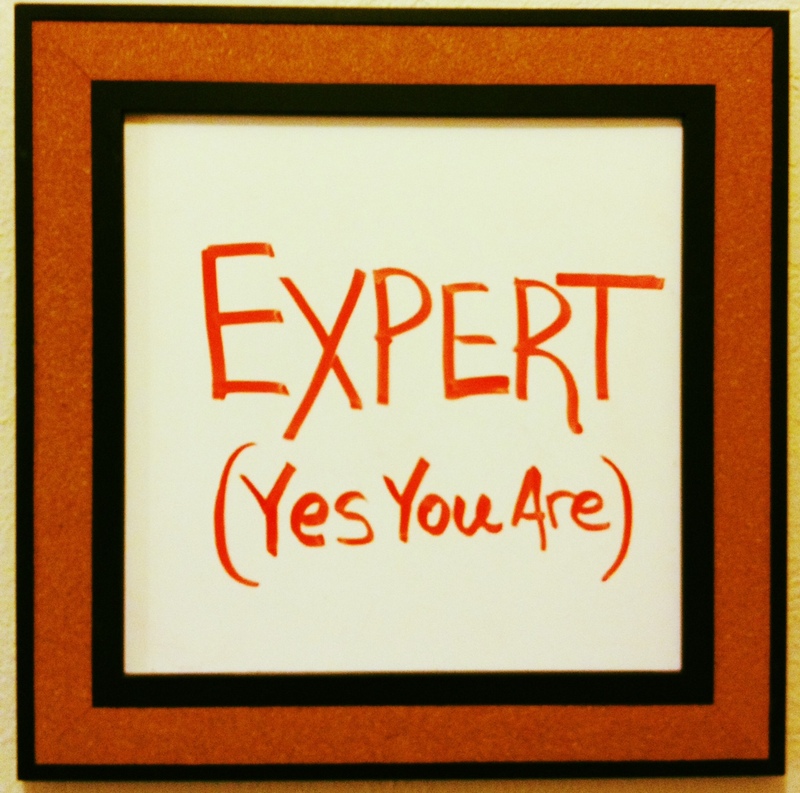 You are an expert and you need to recognize that. We get caught up in looking at the areas that we need to improve and don’t see what is right in front of us. This is the “grass is always greener” concept and for us as entrepreneurs, it is also the “shiny object” syndrome”. I mistakenly think I need what you HAVE or what you KNOW in order to succeed. Well that at GARBAGE!! You have knowledge, training, skills, education, and life experiences. Stop talking and start doing. Use what God has given you. 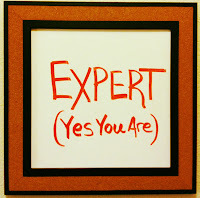 What is an expert? According to the FreeDictionary.com an expert is a person with a high degree of skill in or knowledge of a certain subject. 1. Speak it. This could be on a stage of 50 or 500. This might be at a networking event where you have 30 seconds to introduce yourself. Or this could be in a group of 5 women which is one of the ways I got started. When I moved to Wichita Falls, TX in 2006, I found the networking scene to need a little help, so I connected with 2 other women and we started our own Women’s Networking Lunch. I had only been here for 3 months and it worked, one person invited another and so on. We have been going for 6 years now. Be willing to step out and do something new. 2. Write it. This could be in your weekly blog, your ebook, your newsletter, or your book. Get your message out, share your journey, tell your story, give your perspective and then get that written word out to all people you come in contact with. 3. Teach it. This could be to one other person sitting across from you at Starbucks or could be to the masses on a live webcast. This could be “how to train a dog”, “ways to increase your confidence”, or “how to create a hand-stamped necklace”. Teach your followers how you “do what you do”. 4. Duplicate it. This could be the manual you create on success tips that can be taught to 10 people on a group tele-course instead of meeting with one person. Figure out ways to reach more people by increasing the number of people that you can share your information with virtually. Allow them to listen when they can or to go at their own pace. This is exactly what we do at the National Association of Christian Women Entrepreneurs with all of our calls and webinars recorded and archived for the past 2.5 years. 5. Broadcast it. This might be on the free online radio show that you create. I found out about BlogTalkRadio in 2008 and got started right away featuring other coaches and clients. Find your voice and share online with a live broadcast. Go check out all of my archived and current interviews at www.inspiredwomenradio.com. 7. Share it. This could be you being interviewed for a local newspaper or by a colleague on their radio show. Say Yes to any and all features and interviews that can get you in front of a new group or crowd. Share your message. 8. Post it. This is our fabulous free friend social media. Post your expert info, tweet your knowledge tips, link your words of wisdom and pin your visual images that help us to understand it all! Link your expert info back to your blog and/or website so you can get me to come over and visit you there. 9. Sell it. Take any of these ways that I have just listed and make it into a product. Record the interview and sell it. Write the ebook and bundle that for sale along with a video tutorial. Teach the class as an online workshop. 10. Be it. Remember that you are YOU and God has given you a unique set of gifts, experiences, knowledge that no one else has. Trust Him and allow his plan to unfold. Be willing to be vulnerable. You will end up being an expert in things that you did not ever anticipate as a part of your life journey. I can now claim that I am an expert in divorce survival, infertility, lawsuit, plane crash survival, and more. Share your story. Be YOU! The bottom line is……DO IT. Look at this list of 10 and figure out ways to do it (share your expert information) that works for you, and you go from there. It won’t be perfect. Get it out there anyway. If I am not an expert in your topic, how would I ever know? Diane Cunningham is the Founder and President of the National Association of Christian Women Entrepreneurs. She is a “business therapist”, plane crash survivor, author, consultant, speaker, marathon runner, and fun friend. Find out more about NACWE and why 165 women joined in the first year at www.nacwe.org. Connect with Diane atwww.facebook.com/DianeCunningham for fun updates, silly videos, and lively conversation. continue reading "10 Simple Ways to Use Your Expert Knowledge"
isn't as good as one "well done" from God. As God POSITIONS you for the future, you will begin noticing the importance of breaking old cycles. Breaking the cycle of repeated mistakes requires making a decision to move on with your life, but it won’t happen overnight and neither will it be easy. Find a way to move out of the past, move ahead, free from all encumbrances that threaten to leave you attached to your yesterday. Do not let the dead weight of old cycles impede your progress! continue reading "WTAL 52 Days of Pecking Orders ~ Day 18"
BEFORE you can see the beauty of the surroundings in which God has POSITIONED you, you must remove the clutter! God is a God of order! “God is not the author of confusion, but of peace” (1 Cor. 14:33). Though confusion does not stop God from working, it does stop YOU! The removal of unneeded items can reveal the beauty, functionality and lovely features of God’s creation, your possessions, and even your spirit. It’s time to clean house…physically, spiritually and mentally! continue reading "WTAL 52 Days of Pecking Orders ~ Day 17"
This NEW, expanded version of Hope for the Weary Mom includes over 50% more content! "Stacey and Brooke understand the hearts and needs of moms today. They speak with a voice that’s encouraging, authentic and will draw in readers from many different seasons and stages of life that have one thing in common: they need hope." continue reading "FREE Kindle Edition ~ 'Hope for the Weary Mom'"
Watch iChoose2 Love My Life: Week 43 video. sharing your favorite tools for staying organized. continue reading "iChoose2 Love My Life: Week 43"
continue reading "Don't Give Up on Love, Men and Marriage"
When faced with significant opportunities, you might become fearful of bringing your past into your present. Take COURAGE in God POSITIONING you; God EXPOSING you; and God granting you His KNOWLEDGE! He would not have prepared you and brought you this far if He planned on destroying you or allowing new opportunities to overwhelm you. He’s given you your PECKING ORDERS because He knows you can handle them and carry them out! Continue pecking your way out!!! continue reading "WTAL 52 Days of Pecking Orders ~ Day 16"
In his book, The Last Hunger Season: A Year in an African Farm Community On the Brink of Change (Public Affairs Books, 2012) award-winning author and global hunger activist Roger Thurow explores the annual plight of the hunger season, chronicling the profound challenges faced by four Kenyan farmers as they endeavor to escape the poverty to which time-worn and traditional planting methods have held them bound. With the assistance of a social enterprise called One Acre Fund that offers financing for quality seeds, fertilizers, tools and training, the farmers view the year as an exodus that will lift them from the Egypt of misery into the Canaan land of milk and honey. The next day, as Thurow entered into the hunger zone for the first time and began looking into the eyes of those who were dying, the real meaning of that warning hit home. “I began to ask questions - wanting to know why this was happening ––how this was happening — in the twenty-first century,” he recalls, “and suddenly all other stories began paling in comparison. It wasn’t just what I was seeing all around me, but the things and the beliefs I had grown up with, the memories from my childhood when I was taught that Jesus expected us to feed the hungry and care for the afflicted. In The Last Hunger Season, Thurow exposes us to the daily drama of these farmers’ lives, allowing us to witness the development of the solution to a looming global challenge. If these four farmers and the others like them succeed, it is quite possible that so will we all. We need you to be a part of the solution! 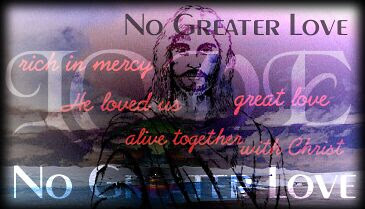 continue reading "Faith, Hunger and Jesus ~ End Global Hunger"
and trusted in his father's mercy. continue reading "Come As You Are..."
In this new season, God will EXPOSE you to brand new things and people. However, do not get caught up in looking at the outside of a person, relationship or situation! These things do not always reflect what is on the inside. Jesus said about the Pharisees that “outside” they were clean, but “inside” they were full of dead men’s bones (Matthew 23:27). Ask God for His wisdom and KNOWLEDGE as you navigate new territory and people! continue reading "WTAL 52 Days of Pecking Orders ~ Day 15"
continue reading "FREE Kindle Edition ~ 'True Community: The Biblical Practice of Koinonia'"
Ron Deal explodes the myth of the "blended" family as he provides practical, realistic solutions to the issues that stepfamilies face. He helps remarried and soon-to-be married couples recognize the unique personality and place of each family member, solve the everyday puzzles of stepparenting and stepchildren relationships, learn communication skills to deal with ex-spouses, honor families of origin while developing new traditions, invest the time to grow their stepfamily slowly, rather than look for instant results. continue reading "FREE Kindle Edition ~ 'The Smart Stepfamily'"
You’ve got to get involved! Before anything will change, you must decide YOU want to change! You must decide to yield to God’s will and allow Him to POSITION you where you need to be before the next shifting occurs! But, change is not easy. It requires COURAGE! In the terrifying, soul-tingling feelings of the vertigo of change, we learn the value of faith and the fuel of prayer. continue reading "WTAL 52 Days of Pecking Orders ~ Day 14"
continue reading "Just Listen to Our Hearts..."
Instead of feeling battered, choose to have the faith that you can rebuild your life! Philippians 4:13 (NKJV) gives us a reminder that “I can do all things through Christ who strengthens me”. Do not yield power over your life to others in the process of releasing the trauma of your past. “Remember ye not the former things, neither consider the things of old” (Isaiah 43:18 KJV). Tenaciously gather what power is within your reach and rebuild your life, no matter how battered you might feel by circumstances. Get ready for POSITIONING, EXPOSURE, COURAGE and KNOWLEDGE! continue reading "WTAL 52 Days of Pecking Orders ~ Day 13"
continue reading "FREE Kindle Edition ~ 'Spiritual Warfare for Women: Winning the Battle for Your Home, Family and Friends'"
ECW is Thankful for Your Support! FREE Online Conference: Woman, Thou Art Loosed!